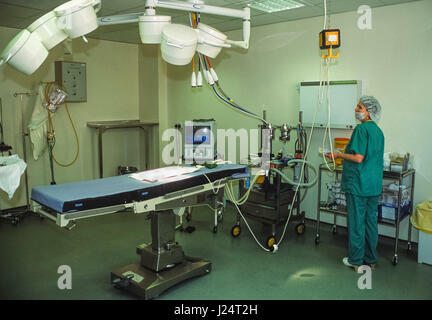 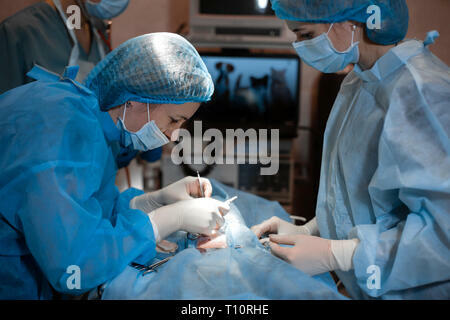 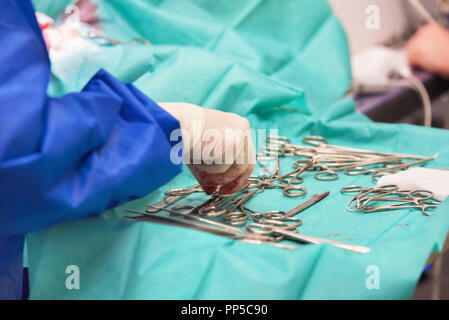 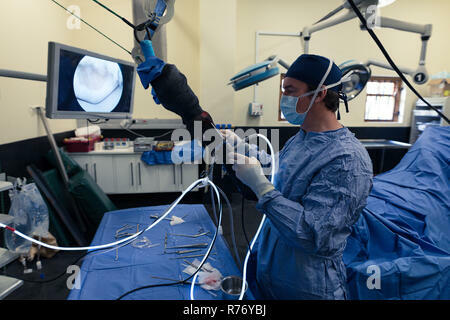 female surgeon make operation. 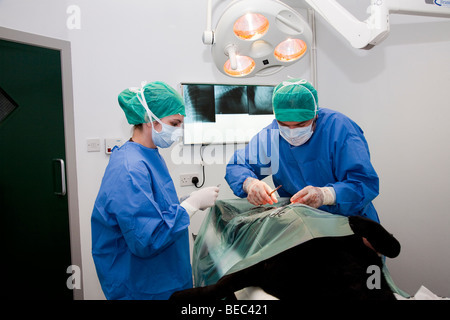 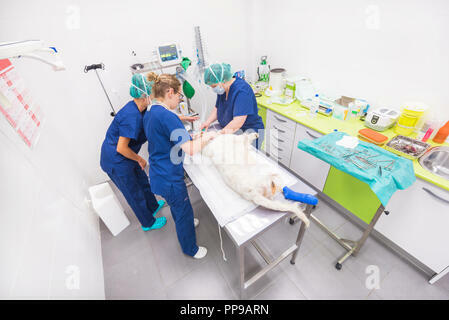 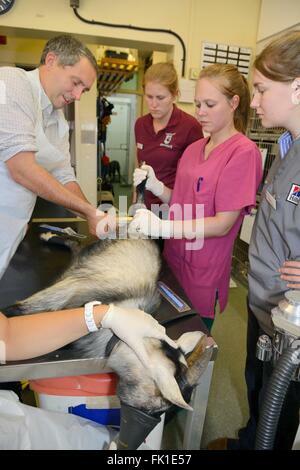 Vet doing the operation for sterilization. 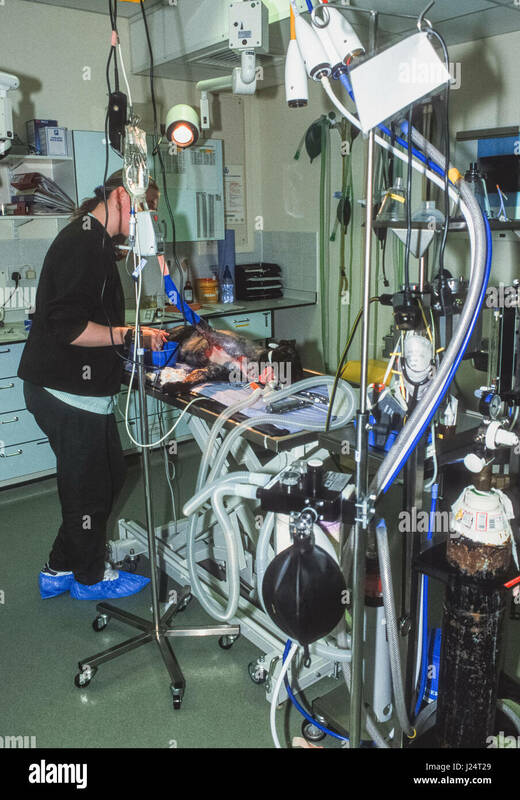 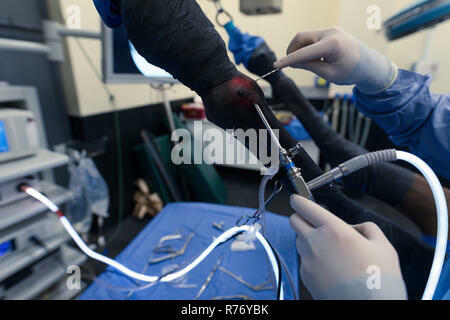 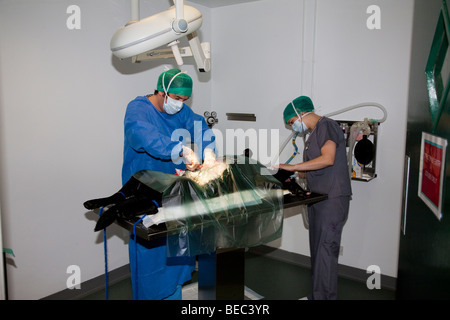 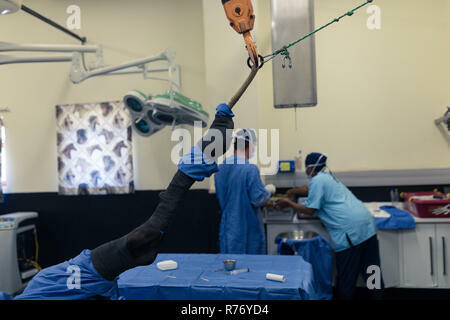 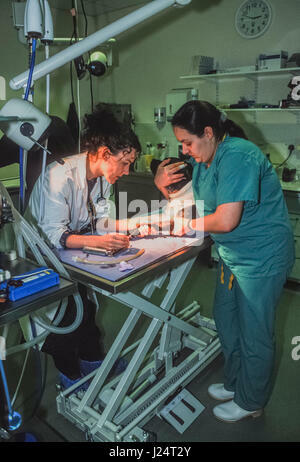 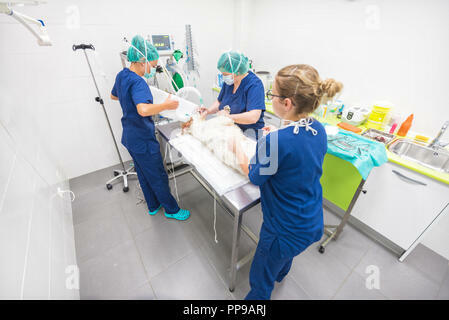 The cat on the operating table in a veterinary clinic.